AS CLEAN up efforts continue around East Nanango, the damage from Sunday's storm is becoming more apparent. Bernice Danahay, who's been living in the area for 17 years, said she had never seen anything like the storm she witnessed that afternoon. 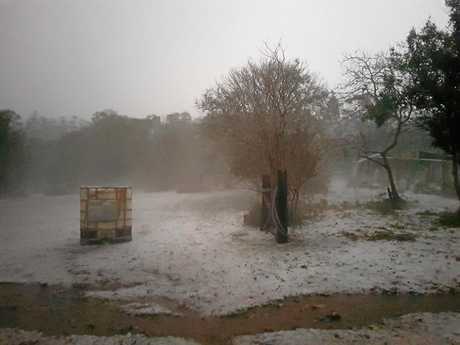 "We would've had about 90mm of rain in half an hour," she said. "I think I'm still in shock, I just can't believe it. "Our guttering was damaged, we had water coming through the roof, it was just torrential." Ms Danahay said her 29-year-old son, Jake, got home from work just as the storm hit. "He couldn't get out of the car," she said. "It was so loud he was sitting in his car with his hands over his ears." 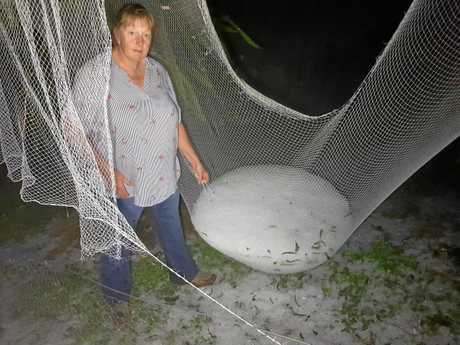 Ms Danahay, who owns Red Fox Pitayas Dragon Fruit Growers, said the hail caused extensive damage to her property. "There's not a leaf on the trees, it looks like a cyclone has come through. "To walk around our property and look at the leaf litter and the garbage, it's bizarre. I keep walking up and down our driveway in a daze." 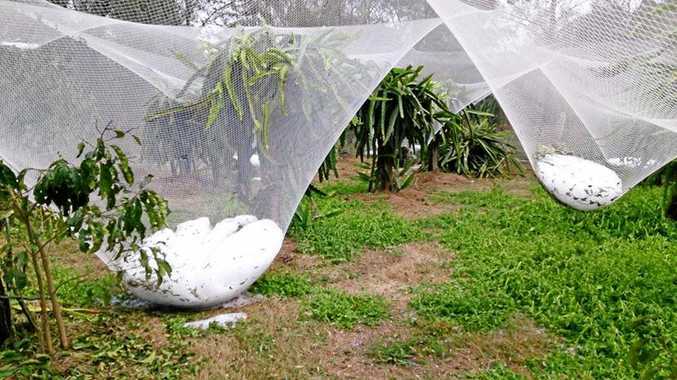 The netting that's used to protect her dragon fruit trees has stretched and torn from the weight of the hail. "The netting is normally stretched tight to protect the dragon fruit from birds. 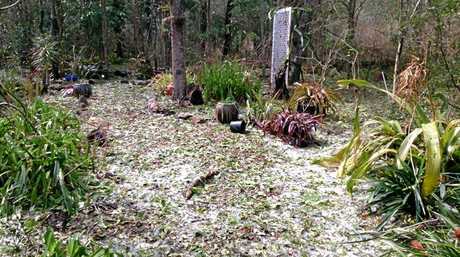 I thought the hail would drop through it, but it didn't," she said. 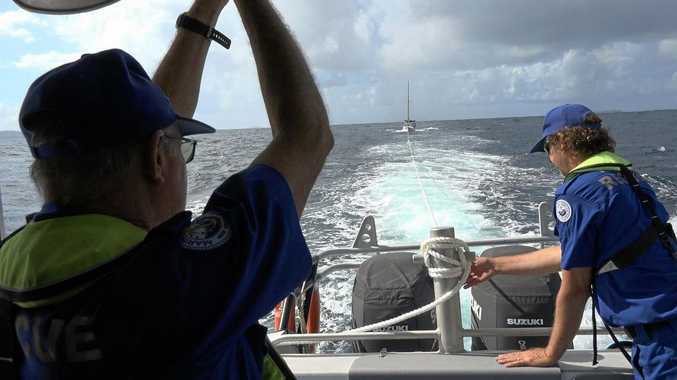 "All that netting has to be pulled down, it's ripped to bits and it's useless now." 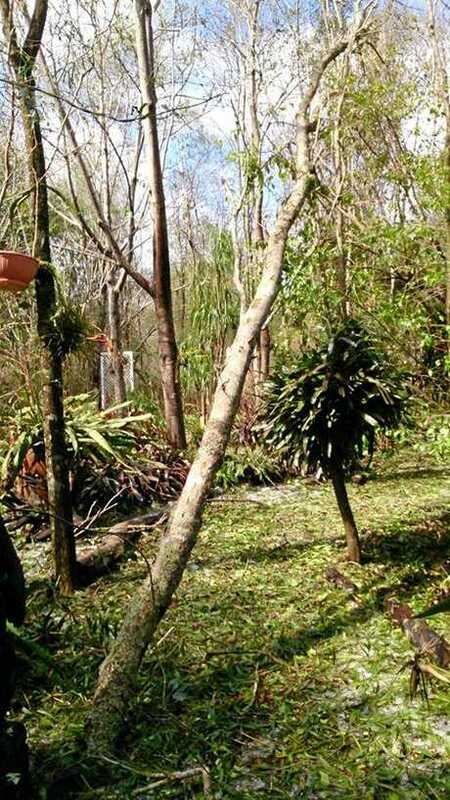 Ms Danahay said her dragon fruit trees had been hammered by the marble-size hail. "They're only just starting to grow, but they'll come back." Despite the damage, Ms Danahay was grateful for the rain. "It was so dry, it was very depressing." "The dragon fruit will hang on, but for everybody else, the people feeding livestock, my heart goes out to them," she said. "We've lost some trees, but we can always put that back together, and most importantly, we're all safe and well."